Stumped on what to say in your email newsletters? Think about your goals, as well as what’s going on in your customers’ minds. When crafting the content for your email newsletters, keep your website goals in mind. Haven’t thought about your website goals? OK, we’d best get to that first. Write down what you would like your site visitors to do on your website. What pages do you want them to visit? What action do you want them to take? What information do you want them to see? These can be larger, overarching goals that remain fairly static. They can also be smaller goals of what you would like visitors to do during a particular time frame. So, let’s say for example, that every December you have a Christmas open house event. Your goal for December might be for visitors to go to your event’s page. Your goals can also be related to other online activities. If social media is a part of your online marketing strategy and you want your emails to be shared and passed on, don’t forget your social media buttons. Or your goals can involve an offline action, such as “come into my store”. Goals are different for every business, and it’s crucial to have it very clear in your mind of what you want your customers to do, think and feel. Now, use these goals to help guide the content for your newsletter. How can your newsletter encourage readers to do what you want? Certainly, you want your newsletter to back up your marketing and communications plans, but you also want to be providing your customers the information they want and need. Think about how your small business can be a valuable resource to your customers. What information are they looking for when they come to your site? (Our old friend Google Analytics is back). Making your newsletter a valuable resource of interesting information is a sure-fire way to keep your subscribers. Special promotions and contests (consider doing some that are only for your email peeps. Customers love to feel special). Do you blog? 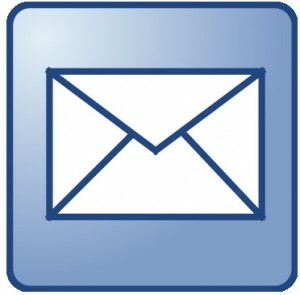 Use your posts as content in the newsletter. Now that was easy! Introduce a new product, or have a featured product section. Share news about your small business (but make sure that this doesn’t take over the whole newsletter. Create a balance between self-promotion and useful information for your customers). News and updates about your industry in general. Inspiration – case studies, testimonials, positive outcomes of using your product or service. What are the most common customer questions you get? Why not answer them in your email? General education and information about your industry or service. What information would be useful/interesting to your readers? Think about your target market. If mom’s are the lifeblood of your small biz, what interesting tidbits about parenting could you share to make their lives easier? Find ways to connect your small business to broader topics. Now, remember, don’t just assume that you are delivering what your customers want. Take the steps to monitor what you are sending out. All email newsletter providers will provide statistics. See what people are clicking on and use this to guide your strategy. If a whole bunch of people are unsubscribing, you might need to change things up.